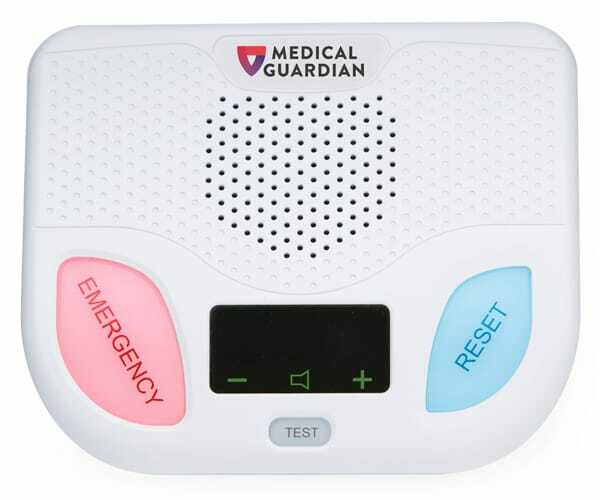 A cost-efficient medical alert system, the Classic Guardian keeps you safe both in and around your home for less than $1 a day. 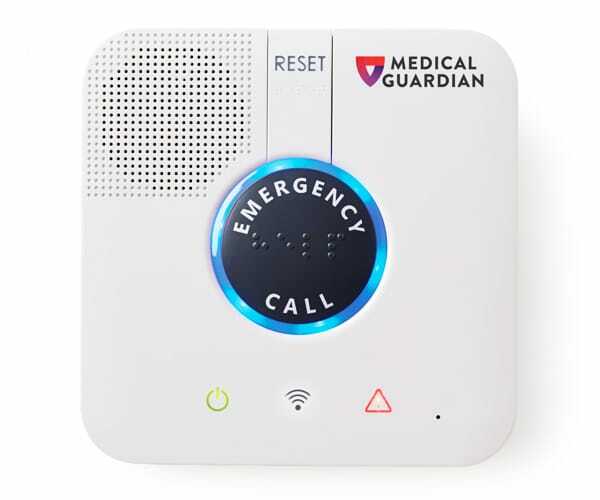 Once connected to your landline telephone, the base station works with a wearable medical alert help button that can be pressed up to 1,300 feet* away from the base station to contact our 24/7 monitoring center. *Coverage is subject to environment, equipment condition, and portable device location. When an emergency strikes, Classic Guardian can save your life. With a button-to-base station coverage area of almost four football fields, you’ll have access to help throughout your entire home. Whether you’re moving for the season or visiting family, you’ll always be protected. 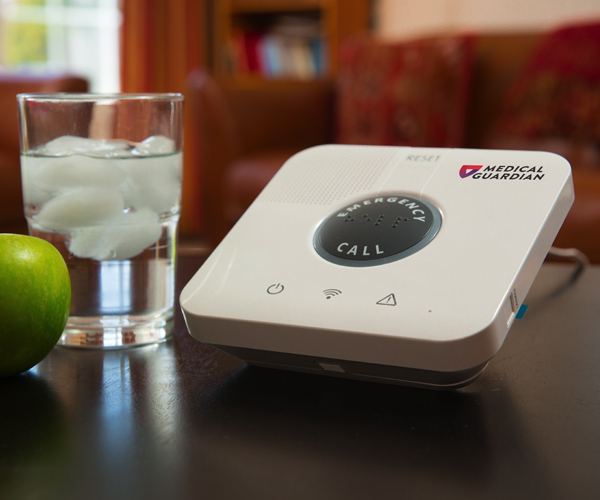 Once you activate your medical alert device, you’ll be connected to trained operators at our 24/7 monitoring center. 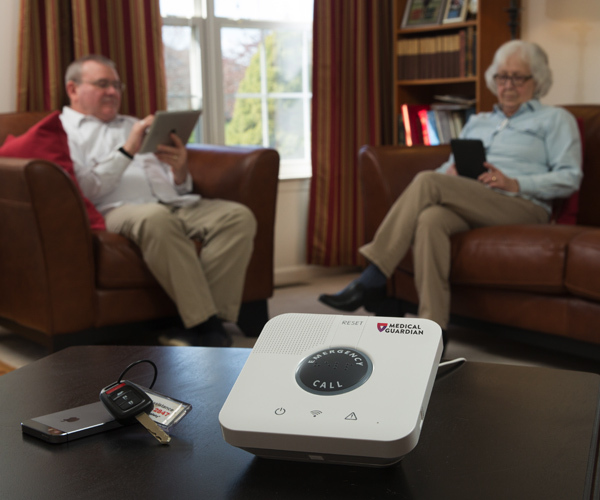 A built-in speaker with adjustable volume allows for direct communication to our emergency monitoring center. 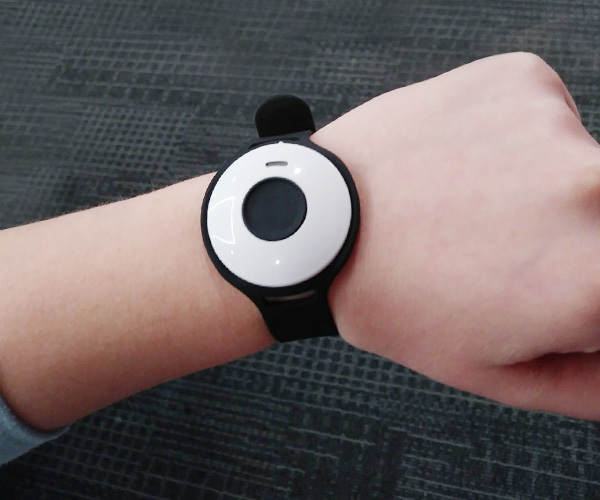 A wireless signal is sent from the wearable button to the base station, which then uses your landline telephone to alert our monitoring center. Use the base station's 2-way speaker to communicate with an operator to dispatch emergency or non-emergency services. If you cannot speak to our operators through the base station, they still send help to your home. Experience a direct connection to our monitoring center through the system’s base with a single button push. 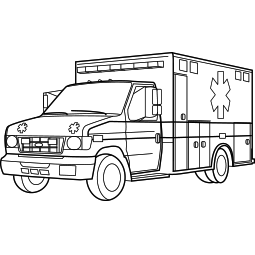 Your medical alert system has a 32-hour back-up battery life, protecting you in any unexpected incident. Wearable, lightweight, and waterproof. 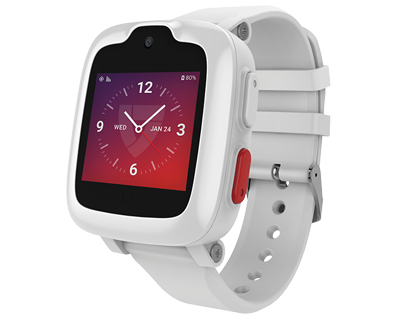 Choose among free wearables, such as a pendant or wristband. 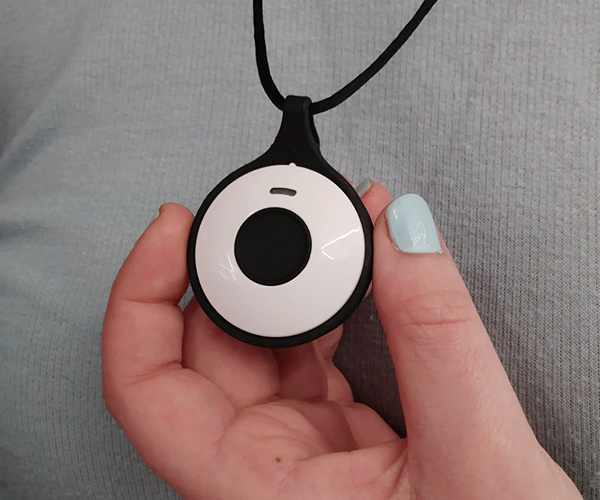 Classic Guardian’s pendant and wrist button will ensure the same protection as the home's base of 1,300 ft.
Our white wearable pendant can be worn in the shower or bath, as 80% of falls happen on slippery surfaces. Customize your Classic Guardian protection package. Multiple people can be protected in your loved one’s home with extra medical alert necklaces or wristbands. 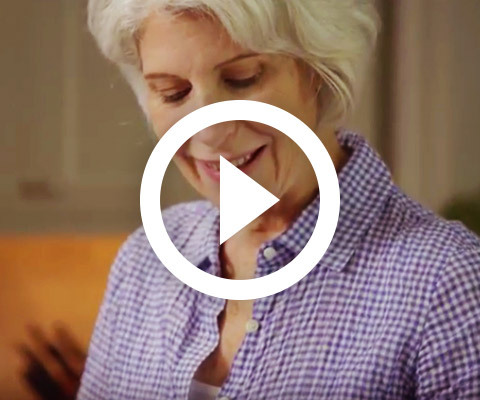 For even more peace of mind in the home, our lightweight and water-resistant medical alert button with fall detection will automatically contact our monitoring center should a fall occur. This button provides up to 2,000 feet of coverage in your loved one’s home by wirelessly connecting them to our monitoring center. 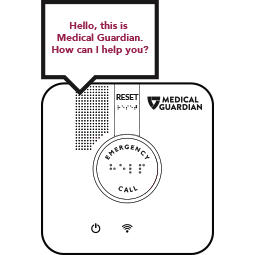 All your loved one has to do is say “Call Medical Guardian” twice or pull the attached cord to contact our monitoring center. Ensure that EMTs and emergency contacts can quickly access your loved one’s home by storing their house key in this weatherproof Lockbox. 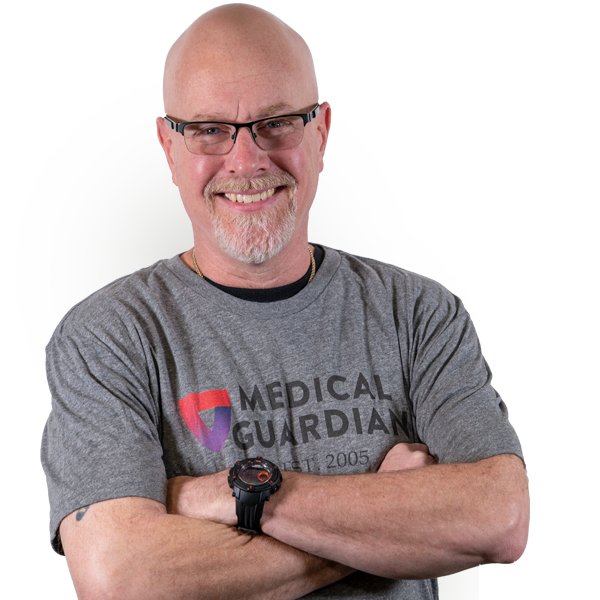 With the Medical Guardian Protection Plan you and your loved one will never have to pay a $350 fee should your medical monitoring system for seniors become lost, stolen, or damaged. Will I be protected in my entire home with the Classic Guardian? Yes. 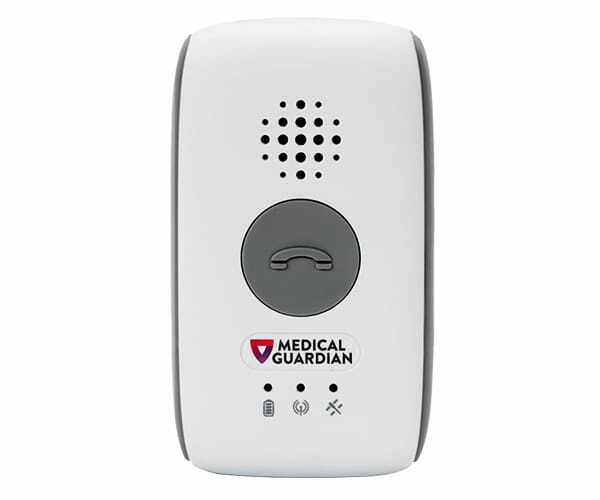 The Classic Guardian provides the largest range of any in-home medical alert system, ensuring your safety both in and around your home. So whether you experience an accident while relaxing at home, getting the mail, or showering, you will always be able to receive immediate help. 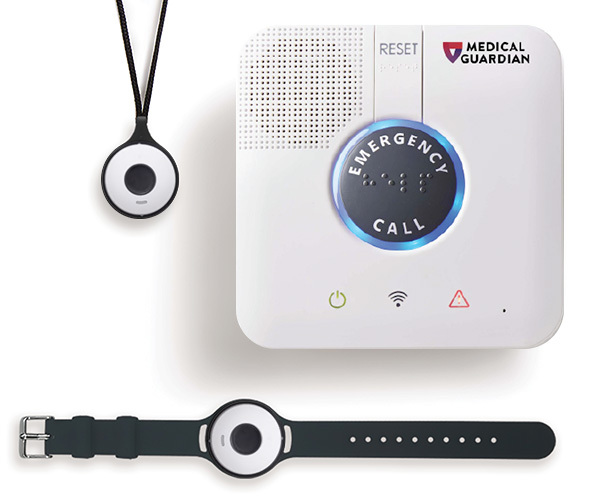 Can I speak to an emergency operator through my medical alert necklace or wristband? No. You can only speak to an operator through the base station. 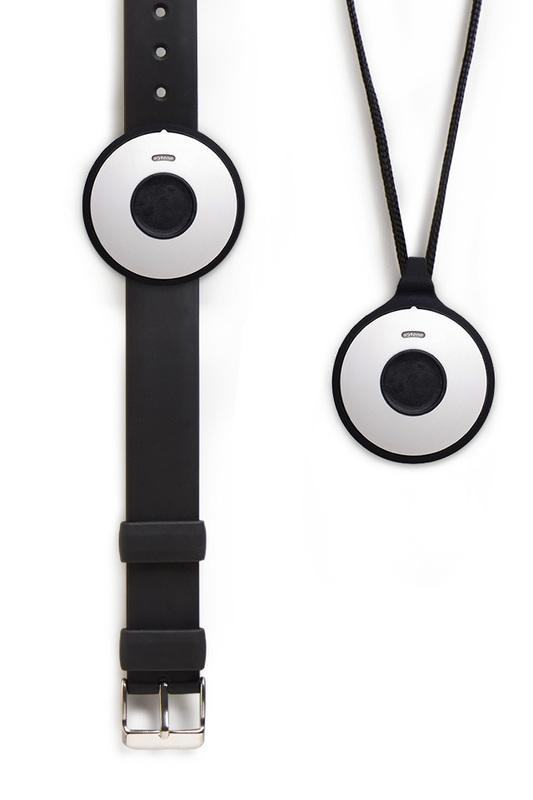 The wearable button simply allows you to call for help up to 1,300 feet in every direction of the base station. If you are unable to speak with our emergency operators, they immediately dispatch local emergency personnel to your home. I live with my spouse. Can he/she be protected as well? Yes. 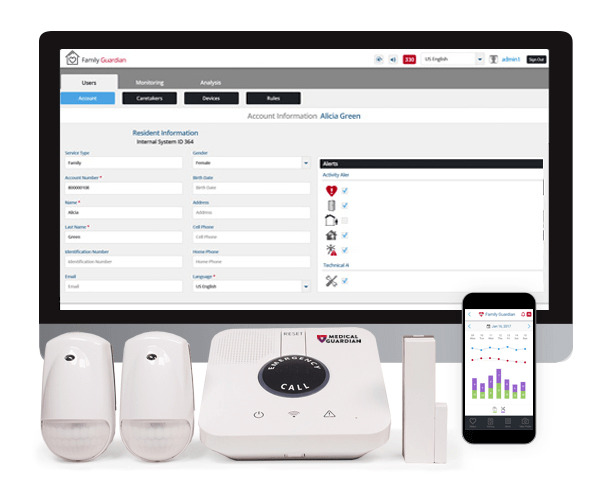 The base station is compatible with multiple medical alert buttons so you and your spouse, or another family member, can each be protected in your home. With the Classic Guardian, you have the option of purchasing a water-resistant fall alert pendant. 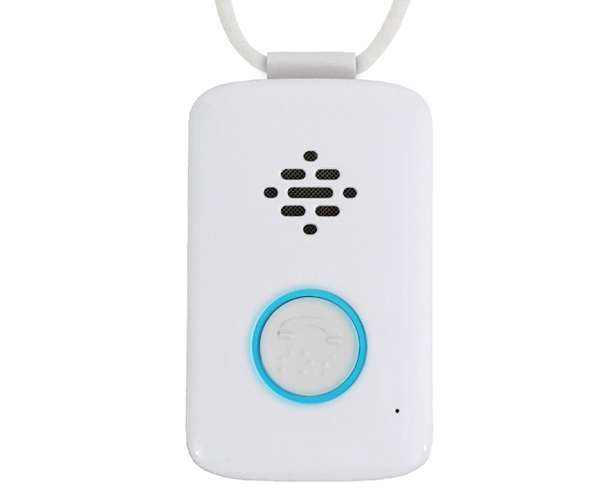 When the pendant detects a fall, it sends a wireless signal to the base station, which then connects you to our monitoring center using your landline telephone. For just $10/month, you can enjoy the added peace of mind knowing that you will always get help in an emergency. *Fall Detection does not detect 100% of falls. 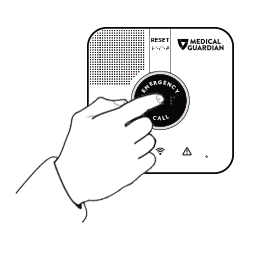 If Customer is able, Customer should press the help button in the event of an emergency. The 911 emergency services line is an alternative to the System and the Services. Fall Detection should only be worn around the neck to allow for adequate detection of falls. Is the Classic Guardian portable? Yes. If you’re moving, going on vacation, or visiting family and friends anywhere within the United States, you can take the Classic Guardian with you. Simply notify our Customer Care Team so we can update your account and ensure that help is sent to your new location. Is the Classic Guardian water-resistant? 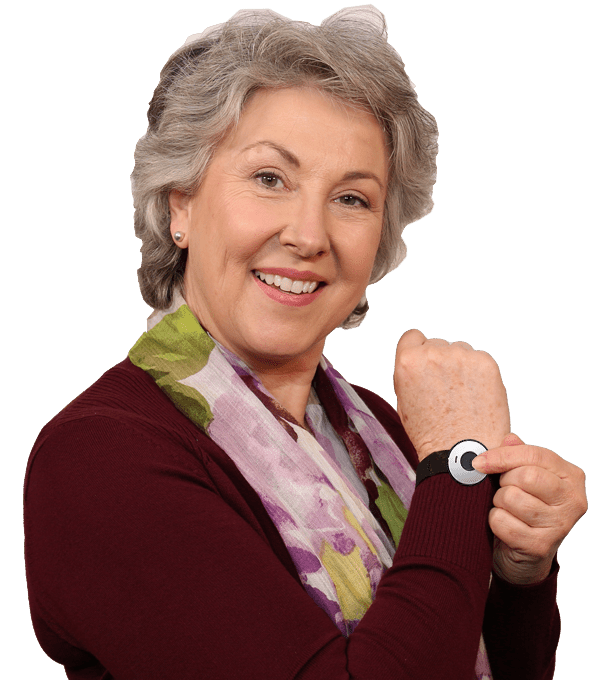 While the base station is not water-resistant, the wearable medical alert buttons are highly water-resistant so you can call for help from anywhere in your home, including the shower. Does the Classic Guardian have a backup battery? Yes. The Classic Guardian has a 32-hour backup battery so you will always be able to receive help in an emergency, even during a power outage. Check out our products and find a solution that fits your lifestyle.